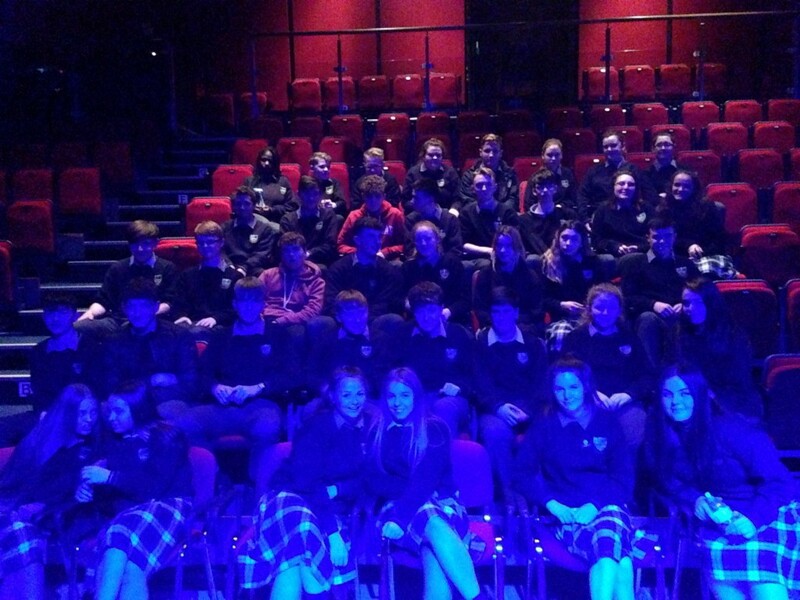 On 25th October 2017, our TY students spent the morning/early afternoon in the Riverbank Arts Theatre in Newbridge with Ms. Barrett and Jackie Dunne (SNA). Who doesn’t need a side-splitting uplift half-way through their week? Ger Carey created a 2 hour wonderfully comedic and unbelievably realistic performance that aims to get teenagers to laugh at themselves (which they did from start to finish) and to appreciate the differences of others. Ger uncovered the weird, wonderful and frightening life of a teenager which definitely seemed to resonate with most. As our TY students will perform in their own production in March 2018 we aim to give them the opportunity to experience various stage performances to help ease their nerves and lend to their own character analysis and performance. Ger definitely provided some much appreciated inspiration and energy to our students with his hilarious, yet thought provoking performance.